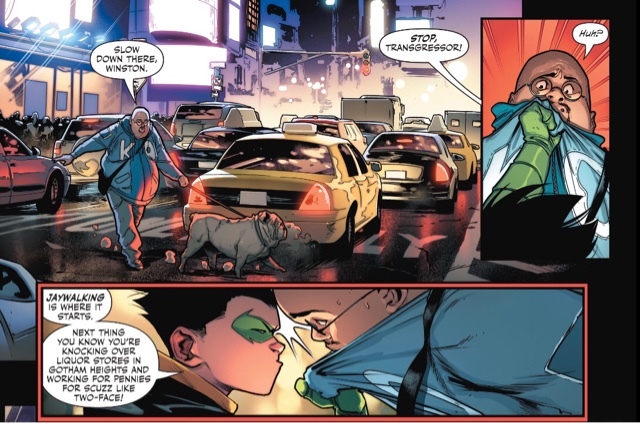 Damian Wayne is a busy kid. 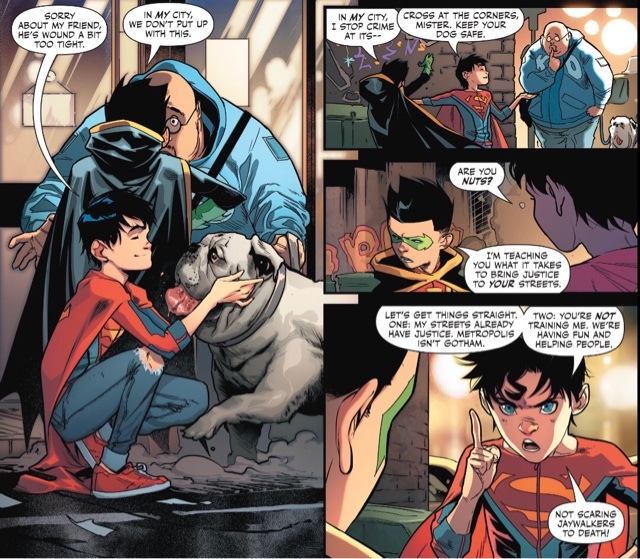 If he's not out with (don't call him) his best pal Jon Kent, he's annoying his Teen Titans team. He gets to do both this issue. 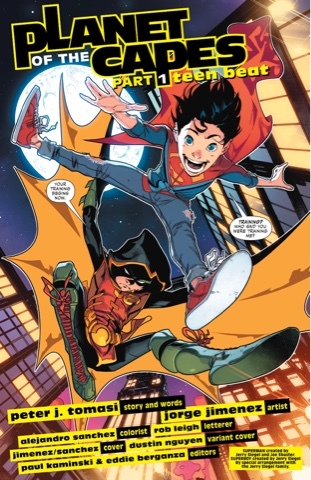 First, it's patrol with Superboy or, as Robin calls it, training. We see their different approaches to life. 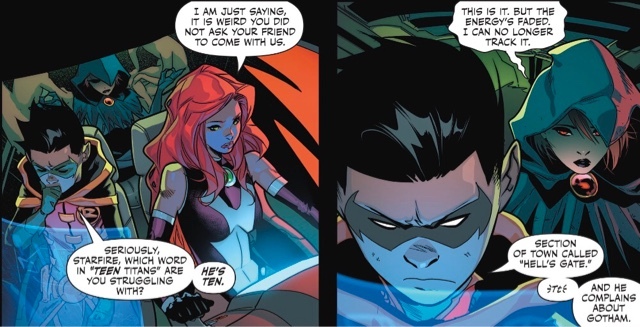 Then, when the Teen Titans turn up and Robin refuses Starfire's suggestion that they take Jon with them, you see Damian through the eyes of his teammates. Jon is dejected, but he isn't wallowing. If nothing else, he hits his curfew. 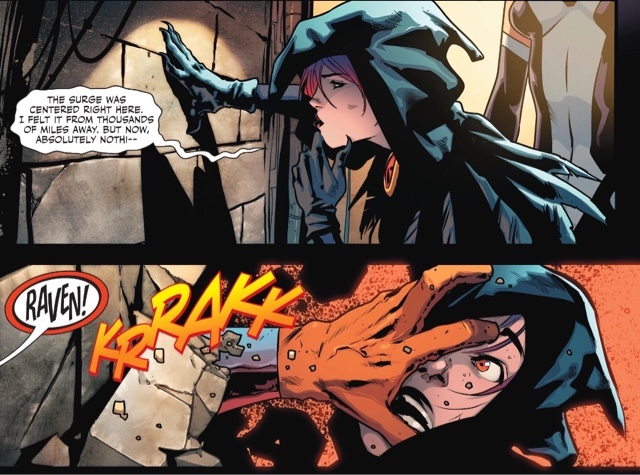 As for the Titans, they catch up to the strange force they've been tracking through Raven's empathic powers. And maybe wish they hadn't. As ever, this is huge fun. The title was used during the original Planet of the Apes film series, in Jimmy Olsen #117, in a very literal way. 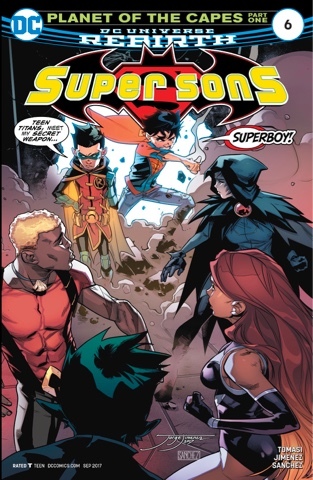 This first chapter doesn't explain the arc name, but the use of an incredibly obscure DC series title makes sense - Teen Beat. 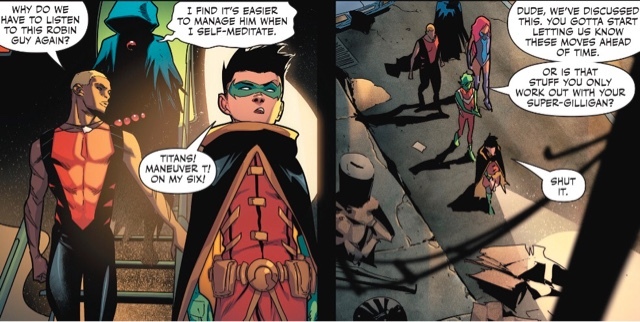 Damian is now 13, and his Titans pals are all at least that, and they're on the beat... literalism isn't just a Sixties thing. This comic also refers back to older ones in the use of members of a Bronze Age concept, the Forgotten Villains, though one of them, Kraklow, is very different, it seems. As for the other two, Chun Yull the Faceless Hunter and Atom Master, they're pretty much same old, same old, maybe a little more intense. And there's a surprise villain who, so far as I recall, never allied himself with the Forgotten Villains. While the serious stuff is entertaining, my favourite aspect of this book remains the relationships. 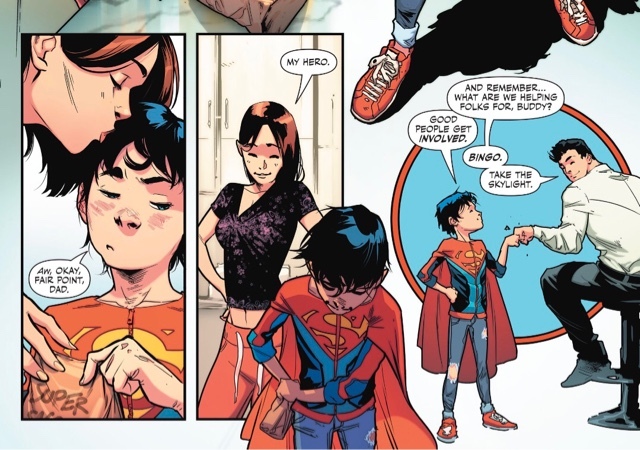 The power balance between Jon and Damian is happily equal, the Teen Titans are on great form, and Clark and Lois continue to be the Best Darn Parents Ever. 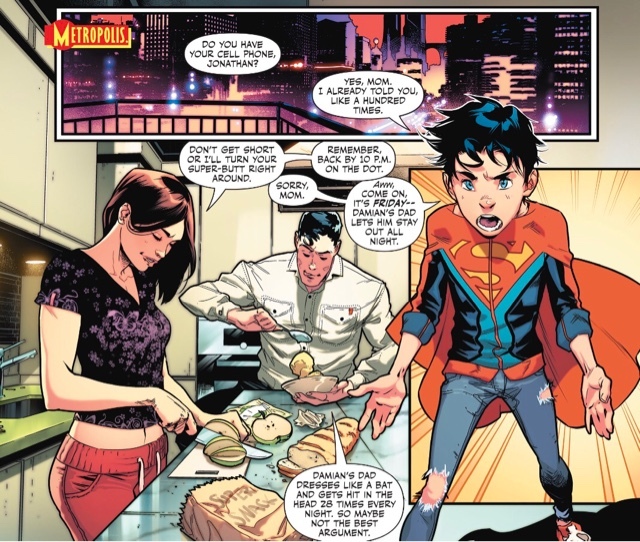 I don't remember Clark being a witty guy with any regularity before DC Rebirth, but it really suits him. 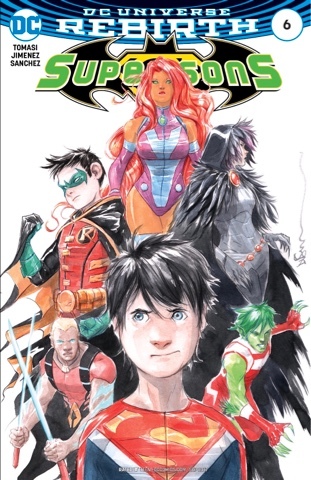 And doesn't Jorge Jimenez do a fine job drawing him? Jimenez, i'm beginning to realise, can draw anybody and make them look great. Heck, even the dopey surprise villain looks formidable. His work looks especially good coloured by Alejandro Sanchez, whether it's Clark and Lois reflected in glass, Metropolis by night, a building acting as the anchor for a page composition, or silhouetted superheroes. 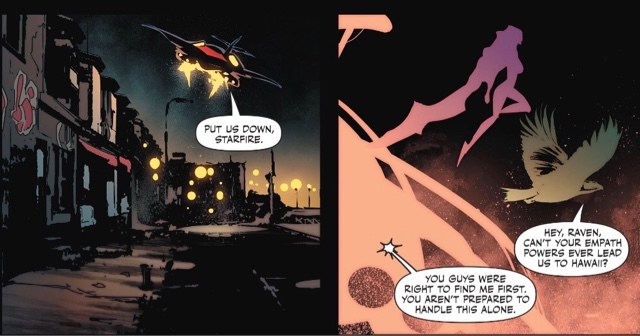 Letterer Rob Leigh, as ever, brings something extra; this time it's his designs for the splash page. Jimenez and Sanchez's throwback cover - misleading, with word balloons - is a delight, while Dustin Nguyen's alternate is as striking as I expect from the man (I wish every background he did wasn't white, though, but I guess that's his thing).